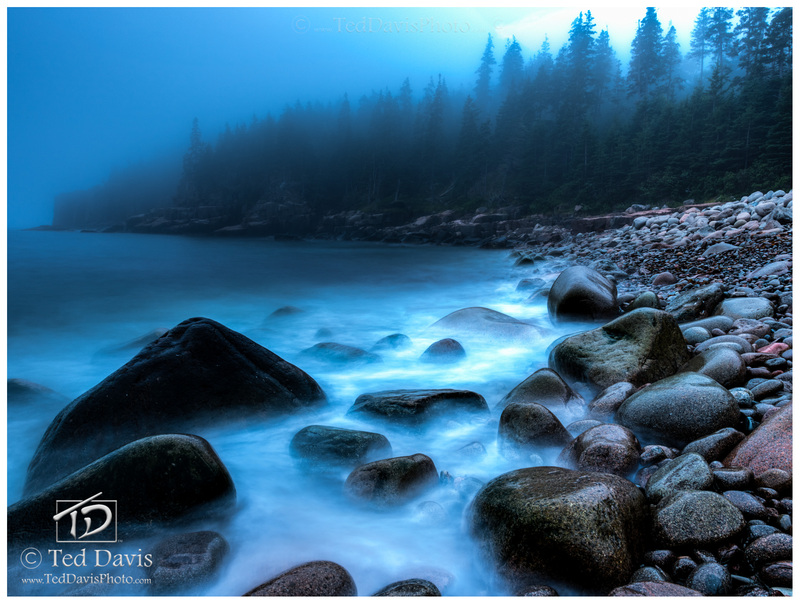 A misty day in Acadia National Park, it was silent and eerie as I crouched alone on the rock beach waiting for inspiration to strike. As time slowly slipped by, the fog became lighter and whiter and I settled down to enjoy the peaceful serenity of the New England forest changing before my eyes. Finally I had my shot towards the sea, and I still can't believe how fantastic and free I feel every time I view it. Photo © copyright by Ted Davis.